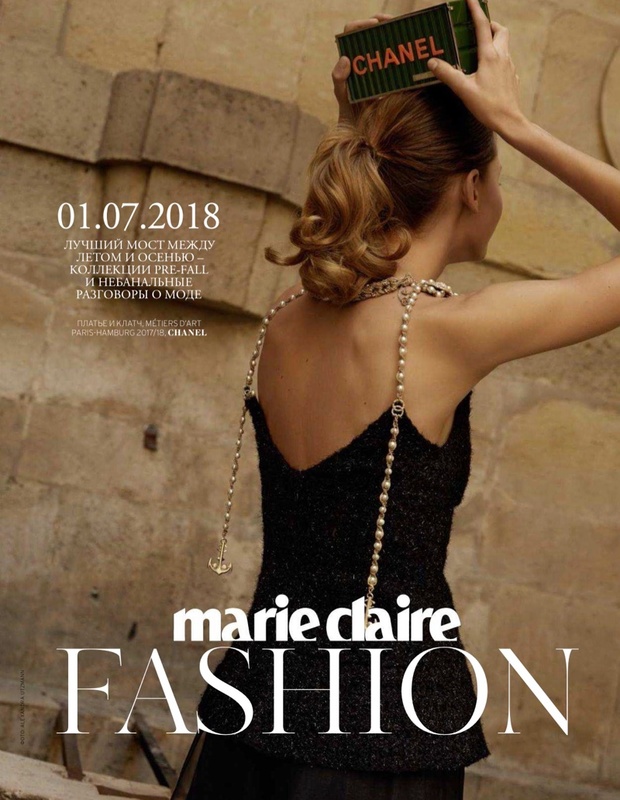 Elodie Christ is a vision on the July 2018 cover of Marie Claire Russia. Photographed by Alexandra Utzmann, the blonde beauty wears a complete look from Chanel including jewelry. Inside the fashion glossy, Elodie wears even more fashions from the French house’s pre-fall collection. 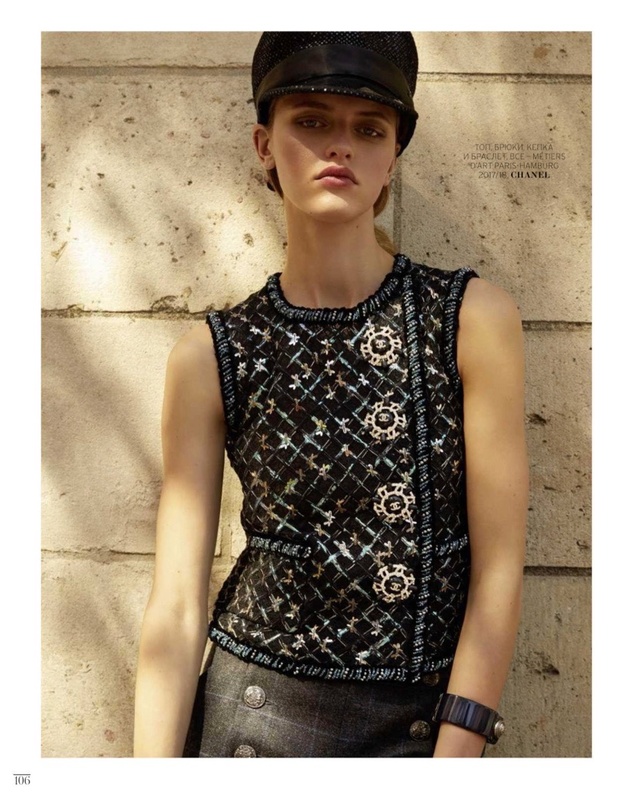 Stylist Sophie Samoylovich dresses the model in a mix of tweed, velvet and lace.